Whether you are looking for makeup for theater or stage, runway, film, photography shoots, Halloween, Goth or more –You will find that Theatrical Makeup Supplies will never disappoint your thirst for professional looking makeup. 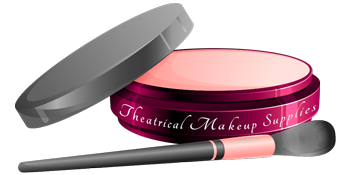 Theatrical Makeup Supplies is your go-to destination for the best selection in theatrical makeup in the greater Hampton Roads area. We are only a quick phone call or email away and we would be happy to answer any questions you may have about our theatrical makeup line and your makeup needs for film, theater, stage, runway, Halloween, or Goth makeup and more. Come visit us at Theatrical Makeup Supplies to discover an unparalleled selection of professional makeup supplies for film, stage, runway, Halloween, Goth and more. Our terrific reviews come from years of satisfied customers that love our selection of professional makeup supplies along with our amazing customer service. We are located close to all the major cities in the Hampton Roads area.